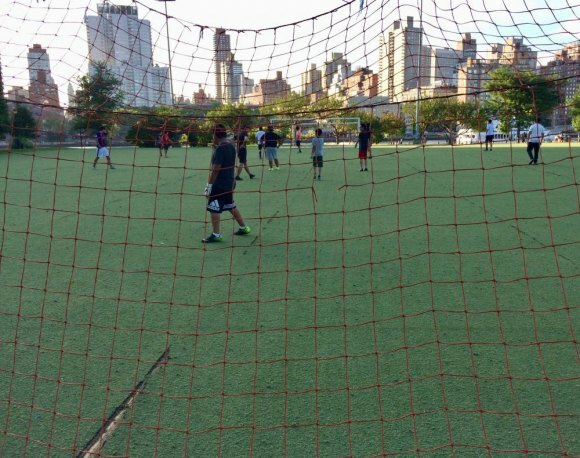 In the week after RIOC announced Octagon Field's closing, pick up games continued. Soccer fans are angry, according to a Letter to the Editor published on the Main Street WIRE's website. It's understandable. A valued public resource is suddenly taken away. But if RIOC should be faulted for anything, it's for not closing Octagon Field sooner. They resisted until there was no other realistic choice. Shutting the field and putting up protective fences took place only after RIOC's insurance coverage was jeopardized by conditions causing too many injuries and unmanageable liability. The Daily learned from a source inside the State agency that RIOC was pressured, early in the year, to leave Octagon Field closed and not reopen until repairs were complete. They resisted, knowing the hell they'd catch from residents excited about breaking out athletic gear as soon as weather allowed. By August, conditions worsened and reported injuries accumulated until delaying was no longer an option. Problems with the artificial turf can be traced back to purchasing decisions made by RIOC Vice President Fernando Martinez in 2010. Martinez was later jailed for taking kickbacks on contracts during his tenure here, although the Octagon Filed deal was not among those mentioned in charges. The purchase, costing $1.8 million, was said to guarantee a 10 to 12 year lifespan, but questions were raised soon after the installation. 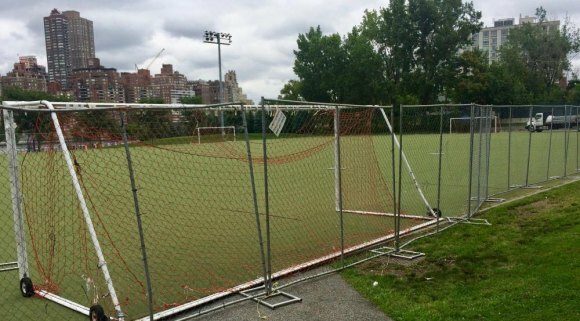 Charlie DeFino, whose Roosevelt Island Youth Program was a major user of the field, complained that turf he was asked to review and approve was not what ended up installed between the goalposts. In the end, it lasted 8 years and should have been less. A major cause for the early failure was Operations Department's failure to maintain the surface. As Board Member Mike Shinozaki explained during a recent meeting, tears were not attended to promptly, resulting in irreparable damage. Soccer players ignored RIOC's sign until a fence was put up. Our source adds that this neglect also voided a manufacturer's warranty. I can attest, from personal experience, that the carpet was in dreadful shape, three years ago, when I used the field for wind sprints. The tears were obvious, the carpet's wear extreme, and the overall feel was less inviting than indoor/outdoor carpeting bought on sale at Home Depot. This brings us around to 2018. 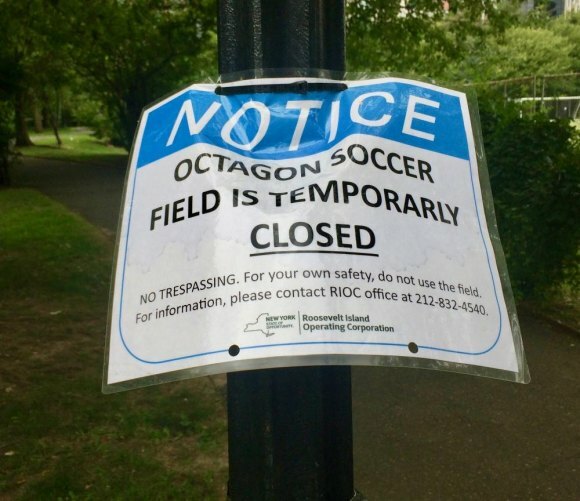 A history of injuries and a field that was beyond repair led RIOC to contemplate shutting Octagon Field down before the season started this spring. They didn't do it for fear that users would be outraged. By the end of summer, they were outraged anyway. Residents complained that the closing was abrupt, and it was. But RIOC handled it honestly, citing safety concerns, even though it was left to a Board Member to explain the cause at a lightly attended public meeting. Injuries were occurring. So were lawsuits. Liability threats and insurance company pressure made continuing under existing conditions impossible. There were also complaints that players in the middle of a game were ejected from the the field when crews arrived to erect fences, but the game was informal, played without RIOC permission and took place a week after a public announcement that the field was closed. RIOC can be faulted, as we did, for not putting up enough signs, but not for bringing a halt to the risks of playing on torn and worn out turf. As for a timetable, when the topic was discussed at a public session, Board Members were told that all work being done, including new lighting and restrooms along with a replaced carpet, is expected to be complete in time for a spring reopening. Fencing finally made the field's closing stick. 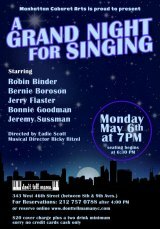 Don't make plans yet. Weather and other conditions can delay outdoor projects. Hudson's signage plans were set back three months by rainy weather, just this year. A mild winter and a normal early spring will keep a safer Octagon Field more likely to open in time for a new season next year.